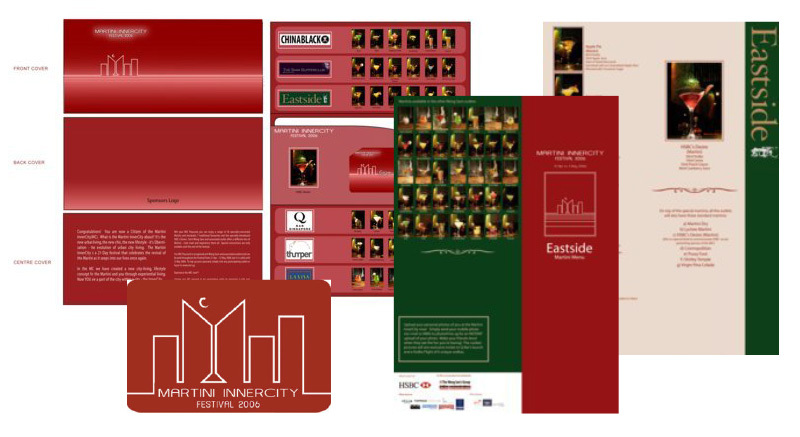 Supported by HSBC Bank, the Martini InnerCity Festival was created to celebrate the essence of city living. Called Ubernisation in its first year, we needed a corporate identity that was sleek, simple and elegant to flow with the poise of the martini glass. The logo embodies city living in its skyscraper design, with the Martini glass shape forming the ‘M’ of one of the office towers. The ‘I’ is shown in the stem of the martini glass and the ‘C’ is denoted by a brushstroke that can represent a crescent moon or an olive in a martini. This same motif was used in 200,000 flyers and full-page press ads in the newspapers to promote the festival. © 2015 Decadence Design Pte Ltd (a specialist marketing company of ENCE Marketing Group Pte Ltd – est 2007). All Rights Reserved.